Earn $12.74 in Rewards credit (1274 points) What's This? Make gearing adjustments a CINCH. 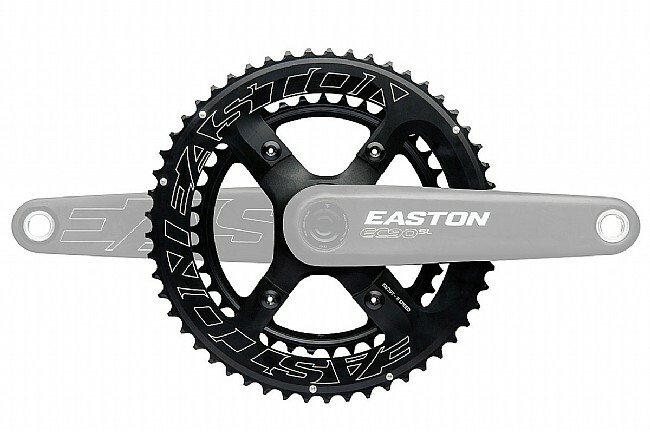 The Easton EC90 SL Road Chainring/Spider Assembly is designed around the EC90 SL Crankset. Easton did away with the standard crank spider and ensuing spider-mounted chainrings of old. Utilizing Race Face's Cinch technology, this crankset uses Direct Mount 1x or 2x spiders, dropping grams and eeking out every last watt that you generate. This revolutionary new design makes fine-tuning your 1x setup to suit the course after a pre-ride, or converting your 'cross bike to a winter road bike at the end of the season as easy as a few turns of a wrench.